It’s a new year and our members are working on plenty of fun content to share! We keep our community fun and connected by hosting monthly happy hours at restaurants around Austin. For our first happy hour of the year, our members were invited to Napa Flats to enjoy complimentary bites and drinks. Napa Flats is an Italian restaurant serving dishes such as wood-fired pizza, homemade gelato, steaks, and more. Locally owned and locally sourced, the restaurant first opened in College Station and expanded to Austin and Tulsa. We were hosted in their private room and indulged in a fantastic menu. Always a great time at an #afbahh! Thanks so much to @napaflats to hosting us and to our wonderful members for making it a great evening of food, friends, and fancy drinks. Happy Friday! Sundays are made for cocktails and pizza to battle those Sunday Scaries. 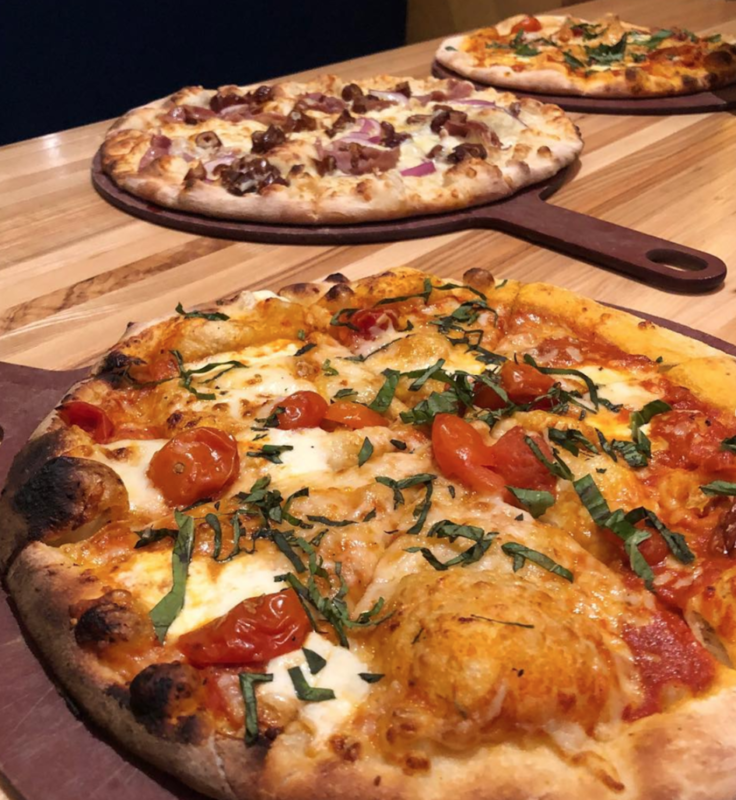 I had the pleasure of dining at @napaflats thanks to @atxfoodblogs hosting a happy hour there this past week and I must say their alcohol and pizza selection along with the outdoor patio (with a play area for the kiddos!) would make a great place to relax on a Sunday. Pictured is the Napa Burner – their first wood-fired cocktail. Monday – Thursday 11:00 a.m. – 9:30 p.m.
Friday & Saturday 11:00 a.m. – 10:30 p.m.